Protect your home and garden from unwanted visitors with these easy to install fence spikes. Made from weatherproof plastic, the strips can be cut to size and fixed to the top of a wall or fence using screws, silicone or outdoor adhesives (not supplied). 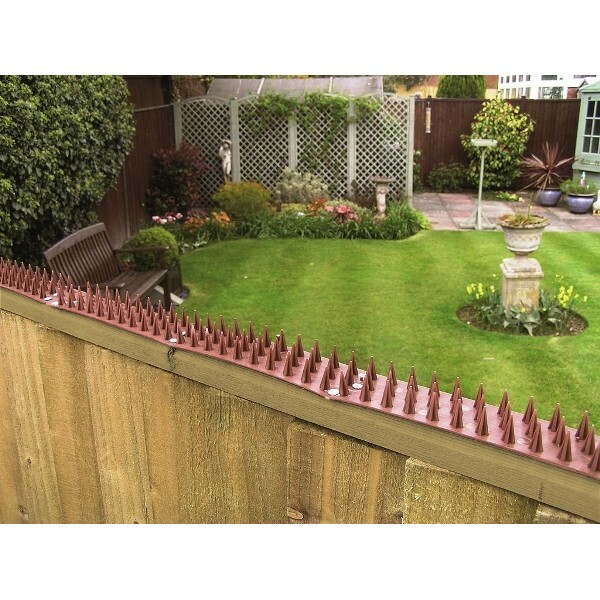 The sharp spikes prevent cats from walking, pigeons from perching and people from climbing over or sitting on walls and fence panels. Supplied as a pack of 6 strips with a total length of 3m (9' 10") by 45mm (1¾") wide.